In over half of families, women control the checkbook. According to a recent Glassdoor report, women are out-earning men in male-dominated jobs such as military officer, merchandiser, research specialist, and communications. Practically speaking, for your church, this means that women are earning a lot and making many financial decisions in the family. One of the most important decisions Christian women in the church will make is how much to give to the church. Tithing is a core element of Christian discipleship. If you are a church carrying out God’s mission, you will be developing generous female givers. Every church that pastors women is obligated to help them learn to be financially wise and generous with their time, money, and resources. Below are five proven strategies that help women become more generous in the church. This doesn’t mean that you put every single female in your church into a leadership position. But you should be actively putting women in as many leadership positions as possible. This means that you ought to be proactively providing women with opportunities to discover what their gifts are. This also means that you should be cultivating the gifts that women in your church have by providing training opportunities to hone and optimize their gifts to be maximally effective in your church. A non-ordained woman can do everything a non-ordained man can do — even if you are complementarian. As every pastor knows, leadership and ordination are not the same thing. This has two important implications. In churches that do ordain women, you should cultivate a culture that celebrates women and men alike. 1. In churches that do not ordain women, you should create every opportunity possible to invest in making women more skillful contributors to the church. If women feel valued, they will want to give. Generosity isn’t just about obligation. Generosity at its best grows naturally from participation. A soccer player who is needed by his team will give more on the field than the water boy who wishes he was able to play. Begin by valuing women as leads to help them discover their strengths, and then train them to become contributors. When women feel like they belong and are valued, they will want to give. If you want women to give, you need to understand what the women in your church want to give to. What would make you excited to give? What do you wish existed in our church? What would you be excited to create and support? How can we optimize the current programs we offer to meet those same needs? Will you give to them if we create/optimize in these ways? Even if this meeting merely begins a conversation, women will feel appreciated and heard. When you have meetings like this, you elevate tithing from a burden to women into an opportunity for women. Tithing is an essential part of belonging to the church. The more women understand the character of God, the mission of the church, and the kind of family God wants to create, they will be compelled to partner with you. Single women tend to want missions-oriented programs. Married women tend to want family-oriented programs. Having both kinds of programs in place will give each population of women in your church an opportunity to give toward something that God has placed on their hearts. Don’t keep women silent in the church. It is every Christian’s duty to be generous, and it is the church’s duty to help women be excellent generous. It’s odd when churches expect women to bear all the responsibilities of a church, but receive none of the opportunities. Making women feel valuable shouldn’t be hard, because women in the church are extremely valuable. Women are very often taken for granted. Don’t try to guilt women into giving by strong-arming them with a theological argument. Women who feel valued will want to give back. It’s not their job to give first. Pro tip: Use Kadi’s evaluation criteria on pp. 134-139 to evaluate how your unique church can best advance women into leadership positions. It’s the church’s job to invest in women, cherish their value, and give them opportunities to connect and serve to their full capacity. Churches who do this will develop generous female givers more than any church that kicks their efforts to a women’s Bible study on generosity. If you want a sure-fire way to suppress female giving, be really stingy with leadership, investment, or training. Generosity is an outflow of connectedness. This is how you develop generous female givers. People want to invest in places where they belong and feel valued. If you do can achieve this, you will have so many women who want to give that you will have the beautiful problem of having more money than you know how to manage and more church volunteers than you know how to administrate. You will need a church management solution to deal with these complexities that come with more money and more volunteers. The best solution for your church is Tithe.ly’s Church Management. 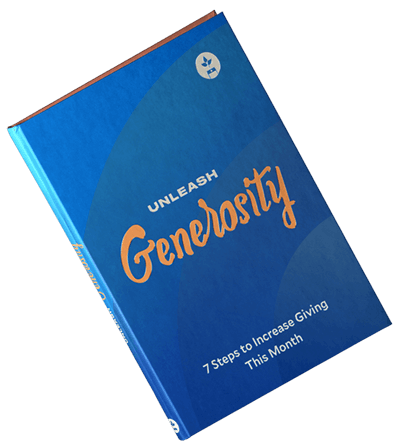 It enables you to organize groups, send push notifications with updates and changes, automate digital giving in your church, and give women the opportunities they long for which compel them to give to a mission they believe in. Author: Paul Maxwell, Ph.D., is the Content Strategist at Tithe.ly. He lives in Fishers, IN with his beautiful wife and rowdy wheaten terrier. He consults on marketing, brand optimization, and ministry logistics.